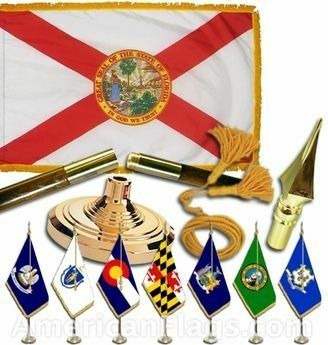 AmericanFlags.com is proud to carry Florida State Flags in a variety of materials, and styles, in sizes ranging from 4 IN X 6 IN to 12 FT X 18 FT. All of our Florida flags meet official specifications, are on sale right now and are ready for immediate shipping to your door. 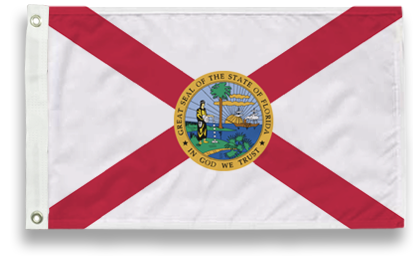 Adopted in 1899, the Florida State flag displays two red bars on a field of white, symbolic of the red X of the Confederate States of America. 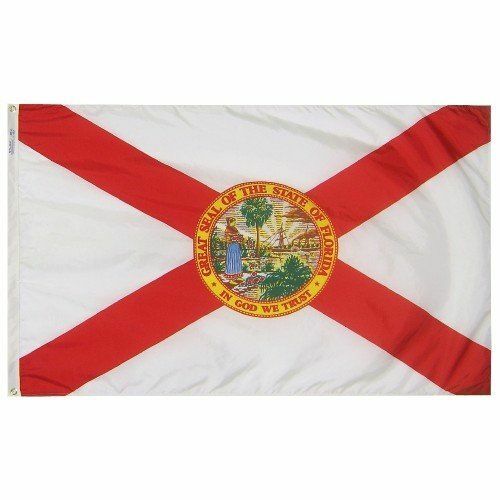 In the flag's center, the Great Seal of the State of Florida sits at the intersection of the two red bars. 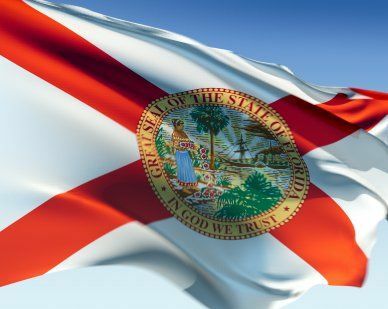 The seal shows a steamboat, a cabbage palmetto tree and the sun, representing Florida as the land of sunshine, flowers, palm trees, rivers and lakes. 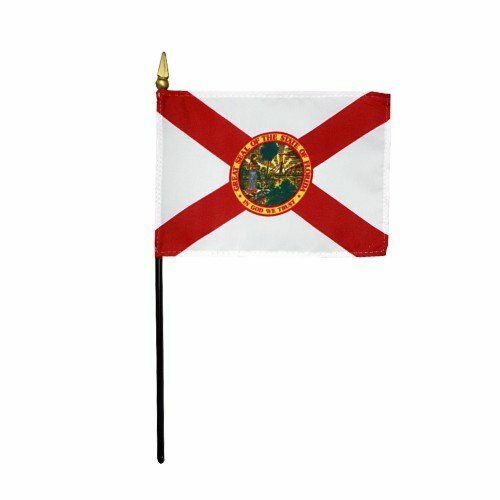 A Native American Seminole woman is also depicted scattering flowers.